Nick Carere, MBET, BES, Broker of Record at Realocity Realty Inc.
Nick is a REALTOR® and Broker of Record of his own brokerage – Realocity Realty Inc. in Kitchener, Ontario. He has had great success in the industry with a variety of deals including both commercial and residential property. Him and his wife are also real estate investors. Nick graduated from the University of Waterloo in 2006 with a Master in Business, Entrepreneurship, and Technology (MBET) and in 2005 with a Bachelor of Environmental Studies (Honours Planning). 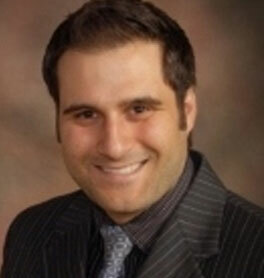 Throughout his life Nick has been involved in Real Estate and has a real passion for the business. He is dedicated to his work as a REALTOR® and Broker, and PrimoAgents has been a natural addition to that business. I enjoyed reading about you & Julie. I love the entrepreneur & mathematics, and you both have strong RE background. Good luck with the PrimoAgents network.